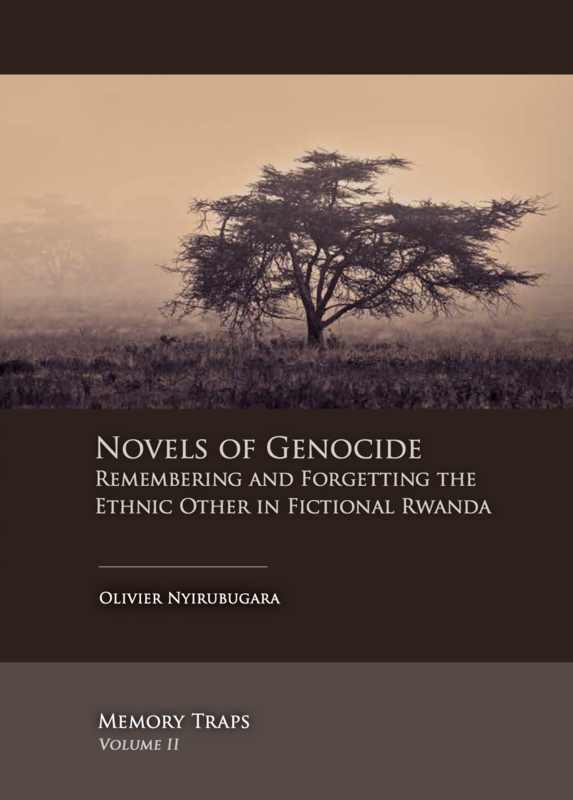 This seminar focuses on Rwandan-authored novels of genocide and is built on the assumption that writing a novel about events as tragic as the genocide and the war implies that the novelists have to constantly make selections amongst events from the past and fill the blanks using their imagination. In so doing, they consciously or unconsciously engage in promoting one perspective on the past rather than the other. 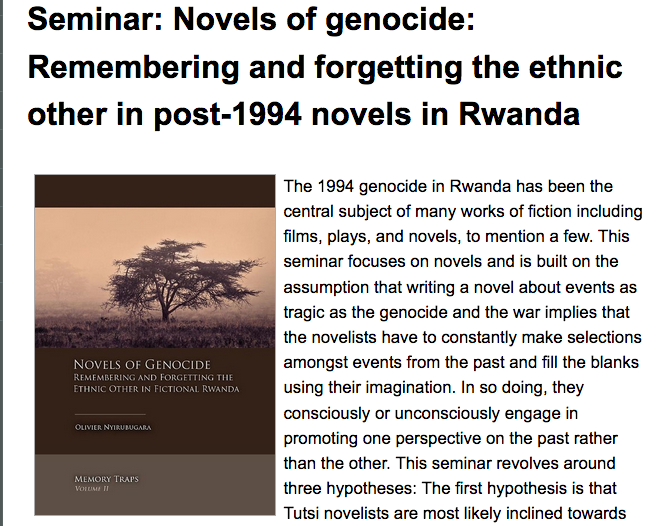 This seminar is based on my forthcoming book Novels of genocide: Remembering and forgetting the ethnic other in fictional Rwanda. 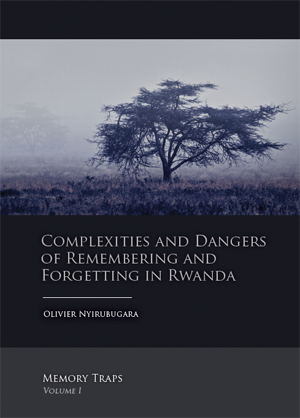 The book will be published at Sidestone Press and will appear early April. It can be purchased at the seminar (€ 25,-).